(1) SILVERRRR LITAS (2) Sam Edelman ZOE harness boots, that i have been craving for two years now? FINALLY MINE. both from Lori´s Shoes (3) Matiko Ty Leopard Wedges (4) family picture! say cheese! (5) got SHAMPALOVE-d! outfits for each shoe are on my mind already! if only the sun would come out, it feels like bloody autumn! shoes overload! they all look so good. very nice! Love the second pair!!! Great shoes hun! not diggin the litas this time, but a hell yeah for the sam edelmans! although i have to say that i liked the knock-offs from modekungen.se a teensy bit more, but oh well - knock offs! i am beyond jealous of your shoe collection! I love those Litas! I want more too! omg die sind alle so der Hammer! Shoe lust! Especially obsessed with the Sam Edelman Zoe’s, so glad you finally snatched them up! Absoluteley adore those patent sandals and the B&W ones. The first one are my fav! I'm absolutely drooling over those shoes! WHOA, A! Soooo many great shoes! I love them all. Can't wait to see you rock them. I know you will!!! Wow, you've got some amazing shoes lined up there!! You have the most amazing shoecollection of all the bloggers! PERFECTION! Loooveeee your shoes collection! these are all so great! i've never been the biggest fan of litas, but wow, they're perfect in silver. that sam edelman shoe's will never ever lose its style, it is so gorgeous! girl these are ALLL great! omg! so many shoessss! i love them ALL. i have so much shoe envy right now! can't wait to see all the fab outfits you will post!! Can't wait to see your outfits babe !! Love them all! Can't wait to see you wearing them! 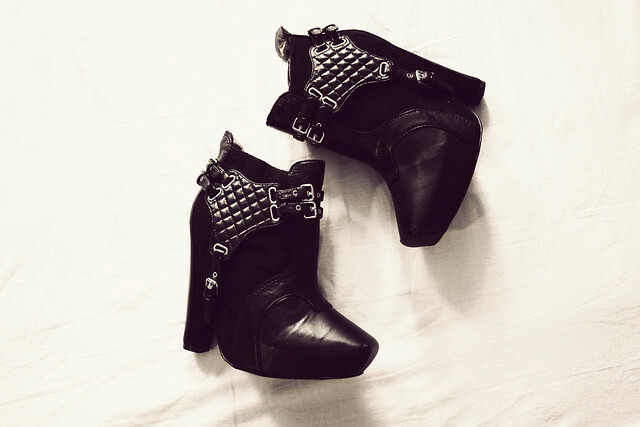 Hiya, Those Silver Litas are SO AWESOME! I love your about me section! The best revenge is to be happy! No way !!!! Stop buying my favorite shoessssssss !!!! I want silver Lita !!!!!!!! And I've been craving for the Zoe for a long time ! OMG how many shoes do you own??! Hello! Super Blog :-) Wieviel Steuer musstest du für die Edelman Schuhe bezahlen? Danke schon mal für die Antwort. Viele Grüße! Oooh, those shoes are to die for! You have the most amazing pairs of shoes and clothes, I adore your style! i've always been a fan of your blog, i've added you to my "blogs" page for fashion sites! keep it up! i hope you'll come check out my posts from my journey through Spain and my first look since returning to the US! The ones with leopard are my absolute favs!! Die ersten beiden Paare gefallen mir am meisten. Ich denke auch schon lange über die Zoe Boots nach.